On the 22nd September we are walking the Shine London Night - half marathon with other amazing Cancer Ninja's to fundraise for Cancer Research UK and we really need your support. On the 22nd September we will be doing a half marathon in memory of family and friends who have sadly passed away and all those others throughout the world who have also all been lost to, or suffering with this horrid disease. The Shine Walk video on Cancer Ninjas website from 2017 will give you an idea of what we will be doing on Saturday 22nd September, blinged in glow and flashing lights with many Cancer Ninja friends and some 12,000+ other Shiners. Shine last year was an amazingly emotional night and experience that raised over £2.3m, and we are hoping 2018 will be better still! If you have any friends, family or colleagues that would also help us in our fight against cancer please do share my page. 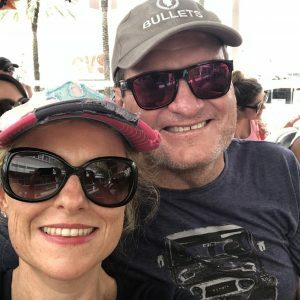 If you have come directly to this page, please do look around the Cancer Ninjas. 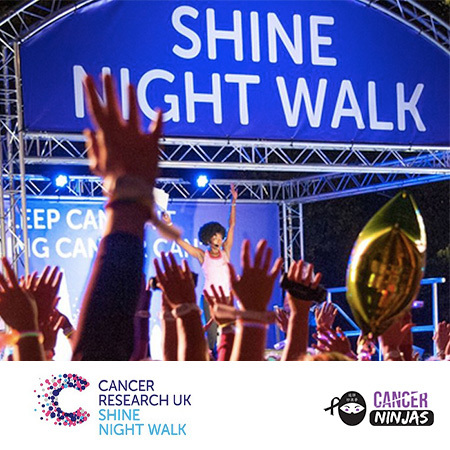 On the 22nd September we are walking the Shine London Night – half marathon with other amazing Cancer Ninja’s to fund raise for Cancer Research UK and we really need your support. Disease like Cancer is so limited... It cannot cripple love. It cannot shatter hope. It cannot corrode faith. It cannot destroy peace. It cannot kill friendship. It cannot suppress memories. It cannot silence courage. It cannot invade the soul. It cannot steal eternal life. It cannot conquer the spirit. Disease is somatic; the suffering from it, psychic. There is no hope unmingled with fear, no fear unmingled with hope. Strength is born in the deep silence of long-suffering hearts; not amidst joy. What does not kill us makes us stronger. The most important thing in life is never to lose heart. Once you choose hope, anything’s possible. Diseases like Cancer really doesn't define a person - it may be a huge part of their life and might always stay with them, but it really is how one choose to live his or her life after that experience that is what defines them. You have to fight through some bad days to earn the best days of your life. Last week I sponsored the horse, so here's the other half for the human!